Did you know Microsoft purchased LinkedIn for $26.2 billion in 2016? LinkedIn is the world’s largest networking platform for professionals with over 467 million users, averaging two new users every second. Each user averages 400 connections. Individuals can connect with colleagues, acquaintances and other businesses to maximize the chances of landing a job or creating business opportunities. Companies are also able to benefit from LinkedIn beyond just identifying qualified potential employees. Here’s the why, the how and the future of your LinkedIn Corporate Profile. Your business can establish a competitive edge by promoting content and products online in a unique way to provide information, special offers, product insights and customer feedback—all in one location. Companies can differentiate themselves by extending their brand story and showcasing values, beliefs and company mission. Giving followers a look into your business will help you connect and foster a trusting relationship. Sharing news, accomplishments and insights about your company and industry will demonstrate thought leadership, creating credibility. Using popular keywords in LinkedIn posts will help boost your presence on search engines. Search engines have ranked LinkedIn posts highly in SERP (search engine result pages), which leads to more page visits, traffic and followers. Including a link to your website within a LinkedIn post will also attract visitors to your company website. 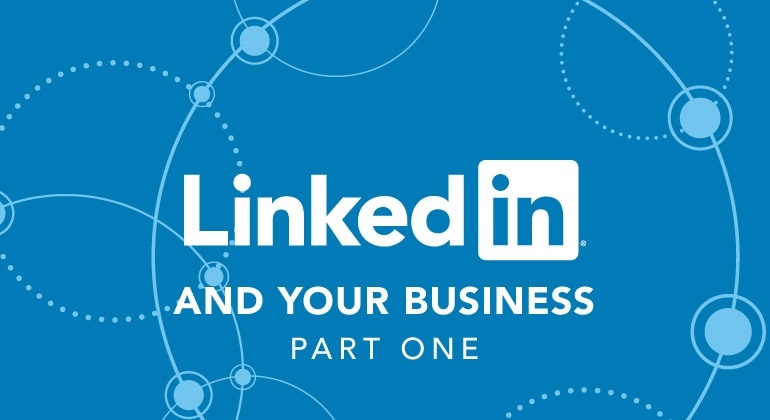 Did you know 80% of B2B leads come from LinkedIn? Make sure your company is broadening its network on this social platform. Consider using these key strategies to enhance your corporate profile. Start by choosing a photo or image that illustrates your company's main benefit. Be sure to include your logo in the header. Then create a strong, concise business summary that highlights your company's benefits, a brief history of products and services, and an meaningful overview of your mission and vision. Invite key stakeholders and audiences to connect—including employees, customers, prospects and possible job candidates. You will have to do this through your personal LinkedIn account or through Email, you cannot invite followers through your company page. It’s also important to engage with these audiences through comments on their posts. Generating new content will attract more visitors and keep show existing followers your areas of expertise. Share new products, promotions and company news to keep everyone up-to-date with your company. It's also important to share third-party articles, posts and updates, to illustrate your company's industry engagement. Staying current when it comes to customers, competitors and potential job candidates is very important. Follow your customers and leads on LinkedIn to keep current on their business goals and opportunities. By keeping up to date on job candidates, you can evaluate if individuals are gaining more skills and experiences to help you decide which candidates to seek. Did you know LinkedIn profiles with photos get 21 times more profile views? Most individuals online are attracted to photos and images because it helps visualize their perception of a subject. LinkedIn is an evolving platform that looks for new ways to keep users engaged. According to Forbes some changes to the platform might include video features and premium upgrades. The majority of successful social media platforms have integrated video features such as “stories” or live videos. It wouldn’t be much of a surprise to see LinkedIn get new video features. Since LinkedIn is owned by Microsoft, just like Skype, LinkedIn may integrate Skype's application into their website to help connect individuals in an easier way. LinkedIn has a premium feature right now, but not many people have upgraded besides salespeople and recruiters. In the future, LinkedIn may be designing more attractive layouts and features just for premium users, hoping to increase their revenue. Did you know 3 million LinkedIn users share content weekly? LinkedIn is a very beneficial social platform that can be used to connect with others, generate leads and find job candidates. Creating a successful corporate profile will help your business stand out from the rest and become more successful.